On that first scorcher of a day, you probably retired all of your full-length pants to storage for the summer, figuring your breezy dresses and shorty shorts would do the trick. What we all conveniently forget is that once you arrive at the office, restaurant, store - whatever place you're escaping to indoors - that AC is going full blast. 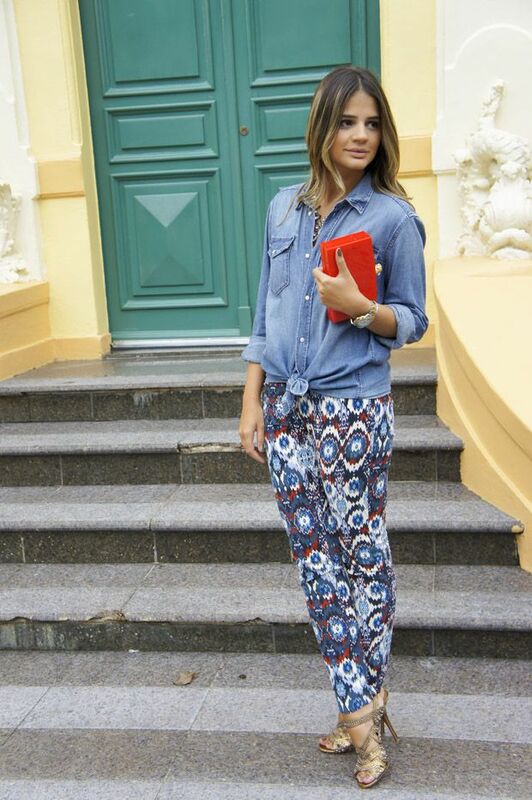 One of our favorite summer trends, graphic print pants, is the solution to all of our temperature issues. These breezy tapered trousers come in a number of lightweight materials from silk to linen, keeping you cool outside and warm indoors. Plus, their bright and exotic prints are just right for a fun summer look. And if you're still wary that you can't pull off this eye-catching piece, we've got some trusty street style examples that will prove you wrong. 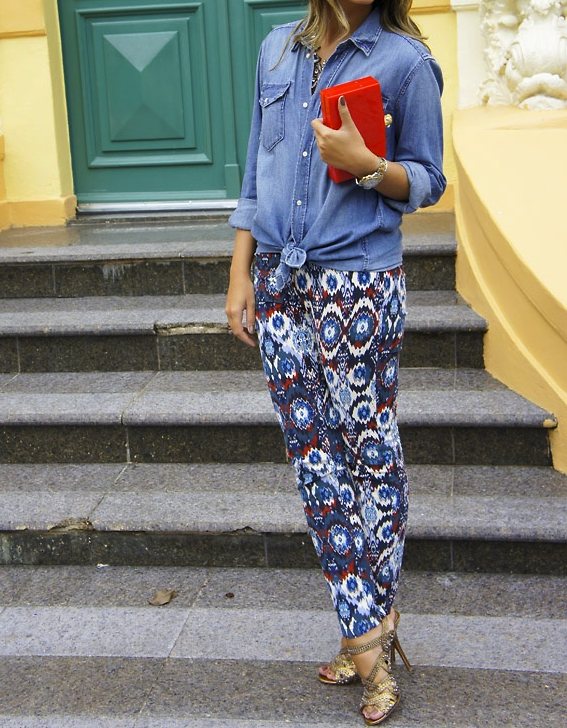 Click through for 6 ways to wear printed pants this summer. Go HERE for more of our Street Style Trend posts.